Meet the Visual Post Grid, Sparklines, Advanced Settings for Scheduled Exports, and Affixed Table Headers! With this release, we've launched a new set of visualizations that will make it easier than ever to spot trends and find insights. Plus, we've introduced some scheduled reporting improvements that will save you even more time on your reporting. Let's get into the new goodness! First up, we have the Visual Post Grid. 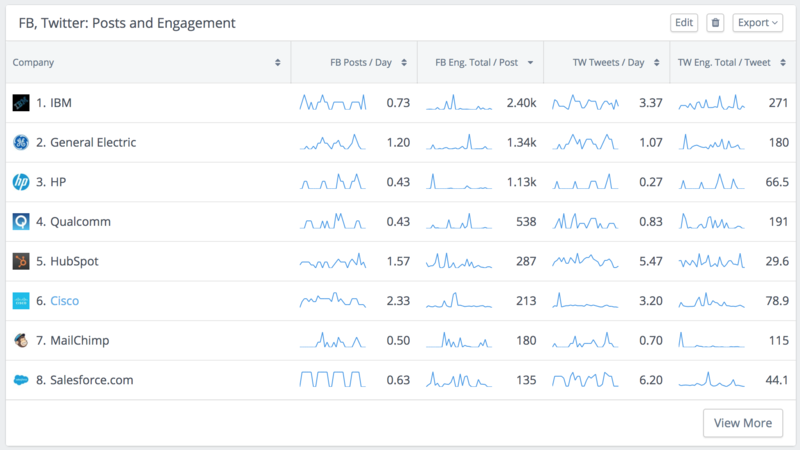 Just take a step back and have a look at the visuals that are driving performance in your social posts. 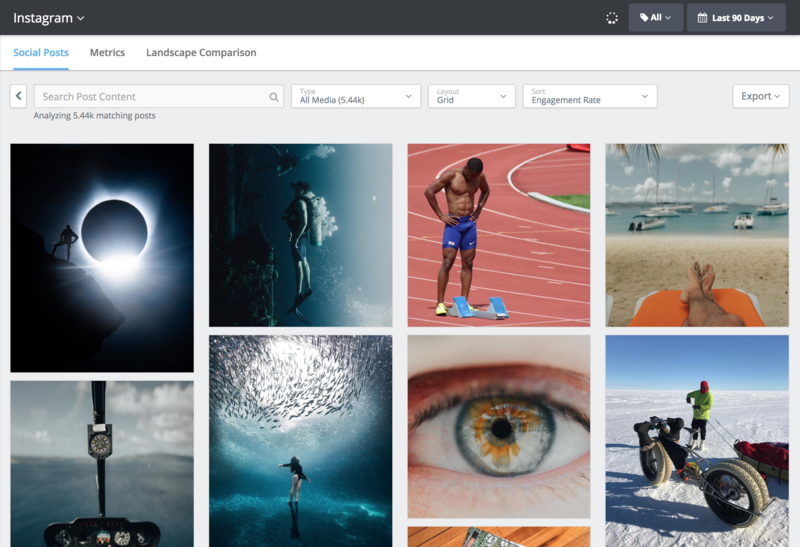 The new Post Grid puts the focus on the visuals. You can still sort and filter by keywords to refine your view. Our second big addition is sparklines in Custom Dashboards. Sparklines make it easy to visualize many data points in a small space, and they can help you see patterns and trends that no single number can convey. You can add sparklines to your competitive tables or focus company tables in Custom Dashboards. The third big addition, Advanced Settings for Scheduled Export, will be a big one for your reporting workflow. 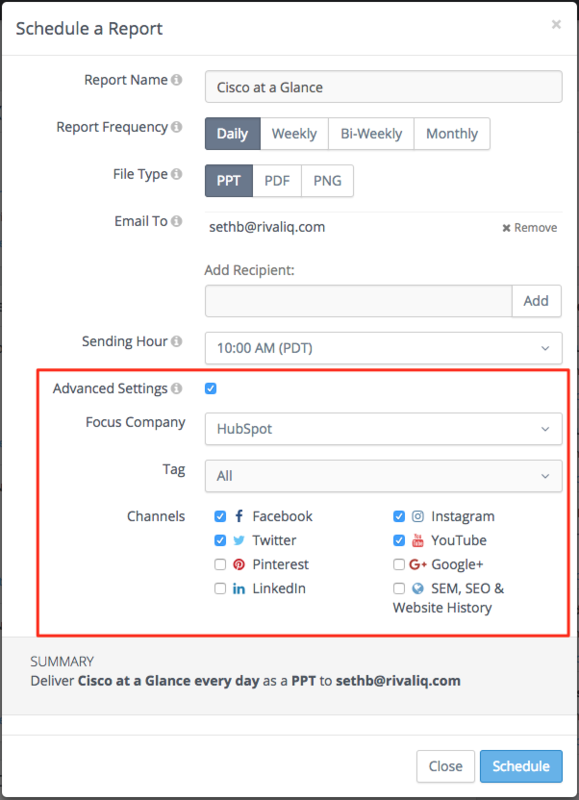 With Advanced Settings, you can permanently override settings for your scheduled exports, including your focus company, tag, and channel set. As a bonus, you can now adjust the time at which your scheduled exports run. 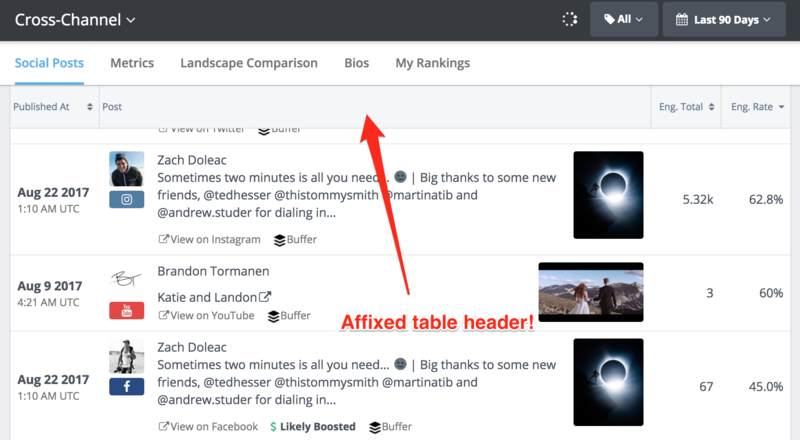 And last by not least, we've added affixed table headers to long tables in Rival IQ. Now, when you scroll down the page, your table headers will stick to the top of the page to make it easier to know what you're seeing.